New York (AFP) - Roger Federer insists he will continue to use his new chip-and-charge 'SABR' attack in Sunday's US Open final against Novak Djokovic despite accusations that it is disrespectful to opponents. The Swiss star, chasing a record sixth US Open title and 18th major, first developed the tactic, dubbed 'SABR' ('Sneak Attack By Roger), against Djokovic in the Cincinnati Masters final last month. The ploy, which involves rushing towards the net at the moment of a second serve and chipping back the ball, does not contravene the rules of the sport but many, including it appears Djokovic and his coach Boris Becker, believe it is against the spirit of the game. "For me, if it makes sense, which I think it does, I'll use it in the finals," said five-time New York champion Federer. "I used it to great effect against him in the tough situation, 4-1 in the breaker in Cincinnati. We will see if the occasion presents itself. It's got to be the right point, right frame of mind, the right place to do it. I hope I'll have the opportunity to do it." Djokovic, the 2011 champion, dismissed the tactic. "I haven't considered doing that. It's an exciting shot for him. For the player opposite side of the net, not so much. So I have nothing else to say about that," snapped the Serbian world number one. Federer says it is a legitimate shot and was happy to showcase it in his straight sets dismissal of compatriot Stan Wawrinka in the semi-finals. "It's not disrespectful," he added. "I'm actually standing in position when they are serving, and then only once they toss it, that's when I run so they don't actually really see me. As long as it's in the rules, I think you should be able to use it." 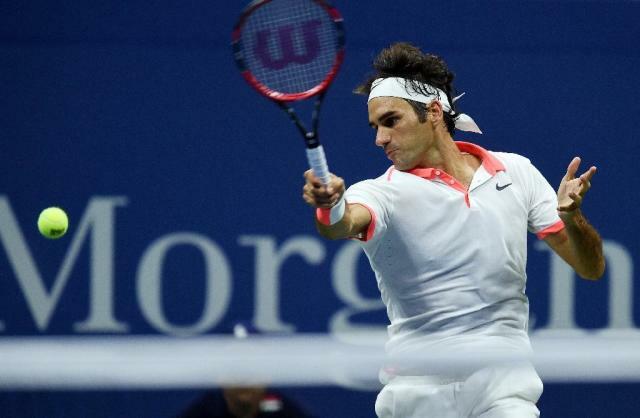 Federer, 34, is bidding to become the oldest champion in New York since 35-year-old Australian Ken Rosewall in 1970. Playing in his 27th Grand Slam final and seventh at the US Open, Federer, the champion from 2004-2008 and runner-up in 2009, is a man reborn. After losing his second Wimbledon final in succession to Djokovic in July, the Swiss veteran beat the Serb on his way to a seventh Cincinnati crown. He has also not dropped a set since his All England Club defeat, a stretch of 28 sets. His semi-final demolition of French Open champion Wawrinka was as brutal as Djokovic's dismantling of defending champion Marin Cilic, with the top seed allowing the Croatian just three games in the most lopsided semi-final in tournament history. Federer also has the crowd on his side as he pursues his first Grand Slam title since Wimbledon in 2012. "I definitely think if there would be more on my side that will give me a lift and extra energy and momentum possibly. That could swing the match a little bit," said Federer, aware that despite his status as world number one, Djokovic often struggles to command a crowd's respect. 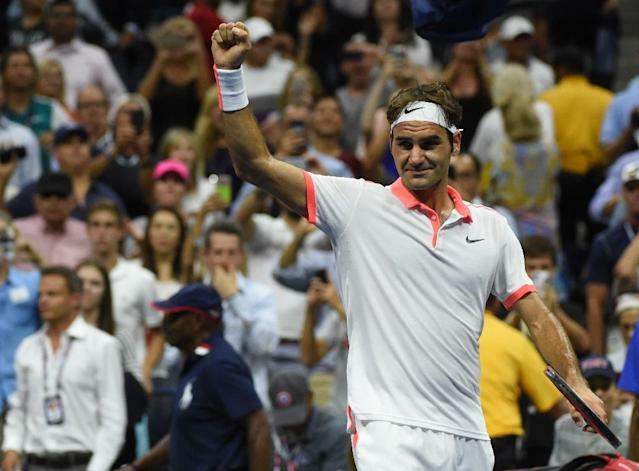 Federer takes a 21-20 lead over Djokovic into Sunday's final. He also leads 3-2 in US Open meetings -- including the 2007 championship match -- but Djokovic won the last two, in the 2010 and 2011 semi-finals. Both those went to five sets. Federer says he knows what to expect from Djokovic, claiming that Rafael Nadal was the player who tested him the most. "With Novak it's been more straightforward. That's what I like about the rivalry. 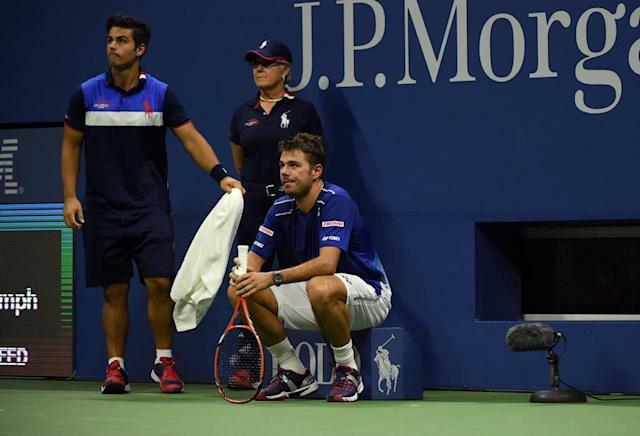 I feel like he doesn't need to adjust his game as much," said the Swiss. "I think it's just a straight shootout, and I think that's the cool thing about our rivalry." 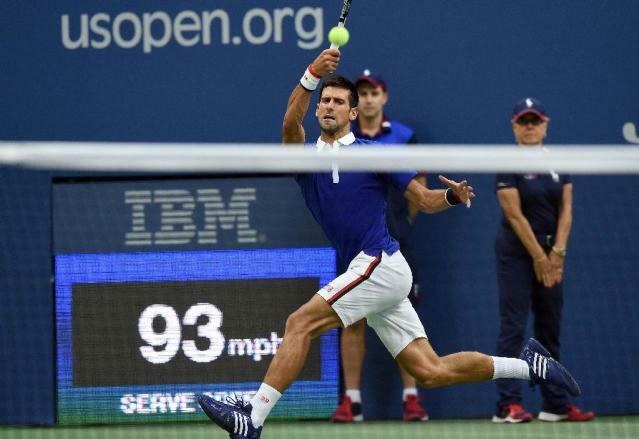 Djokovic will be playing in his sixth US Open final, having been champion in 2011 and his 18th in all Grand Slams. Sunday's meeting will be the pair's sixth of 2015, all in finals. Had it not been for Wawrinka playing the match of his life in June to defeat Djokovic and claim the French Open title, the Serb could have been pondering history on Sunday with a calendar Grand Slam. "We we all know how consistent Roger is and how good he is in the latter stages of a Grand Slams and any other big tournament," said Djokovic, a nine-time major winner. "He's always going to perform on a high level. Rarely he drops his level. He always makes you play your best. "I know that he's also lately being very aggressive coming to the net, mixing up, and trying to shorten out the points. I think also he improved his speed. "His defensive game is better than it was. Maybe healthier."